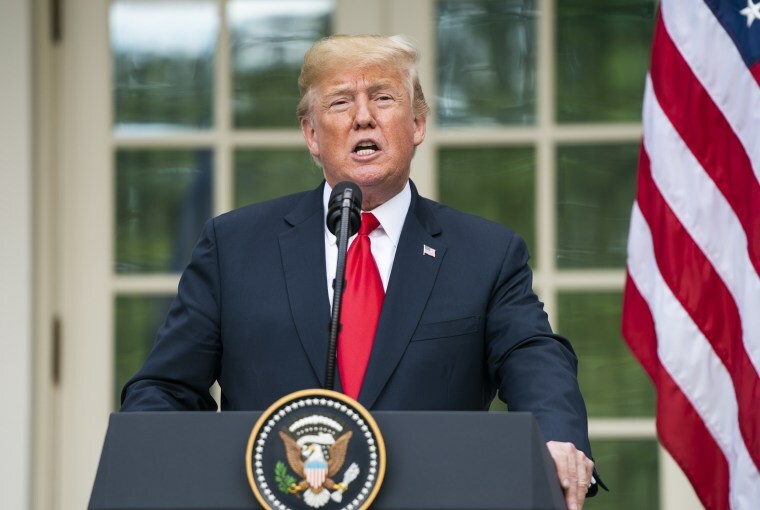 Donald Trump made his opposition to much of America’s international trade policy a central theme in his presidential campaign, and his position almost certainly played a major role in his victory in key industrial states like Michigan, Ohio, and Pennsylvania. But the public now seems largely opposed to his recent tariffs against our major trading partners. It is possible to make sense of these seemingly contradictory facts. First, most people are not policy wonks. They have day jobs and, when they get back from work, they often have family responsibilities, so getting the news means hearing a few tidbits on the television or radio, or possibly skimming an article in a newspaper or online. People were not wrong to hold a negative view of trade policy: Over the prior four decades, it had put U.S. manufacturing workers in direct competition with their low-paid counterparts in the developing world by reducing tariffs and other barriers that had caused foreign-made products to cost more. The predicted and actual effect of this policy was the loss of millions of manufacturing jobs. Losing these jobs put downward pressure on the pay of less-educated workers more generally, as the workers who lost their jobs in manufacturing then sought out employment in retail, health care and other service sector industries. This was an important factor in the rise in inequality and the weakening of unions over the last four decades. A tariff is a tax, and tax increases are usually not popular. While people could see and feel the pain that resulted from U.S. trade policy overall, they are now not clear on what is to be gained from the tariffs Trump is imposing on imports from Canada, the European Union, China and other trading partners. A tariff is a tax, and tax increases are usually not popular. The immediate impact of tariffs is to raise the price of the goods on which they are imposed, and that has already happened for a variety of products. On items like washing machines, it has already led to a 13.1 percent increase over the last year in prices paid by consumers. In intermediate goods, like steel, it has led to price increases for downstream industries, like the auto and appliance industry. The higher price is good news for steel producers, who are adding some jobs, but it is likely to cause jobs losses in other industries. In addition to the U.S. taxing its own consumers for purchasing foreign-made goods, other countries are retaliating by imposing their own tariffs on U.S.-made products. This is already hurting the prices of a number of agricultural crops and, as tariffs spread, many other industries might be hit as well. While tariffs have real costs, they can be an effective tool in trade negotiations — if they are part of a well-worked out strategy to achieve specific goals. Unfortunately, Trump’s tariffs do not appear to be part of a carefully considered plan. Instead, Trump has publicly lashed out at our trading partners over largely-imagined wrongs. For example, he complained to Canadian Prime Minister Justin Trudeau over his country’s large tariffs on U.S .milk, but, imports to both the U.S. and Canada are regulated by quotas, which allow dairy products to enter tariff-free. Canada has hugely expanded its quota in recent years and now allows more dairy products from the U.S. to enter tariff-free than we accept from Canada. He also has complained about the high tariffs the EU imposes on imports from the U.S. when, in fact, the average tariff is just 3.0 percent. There are real issues that Trump could raise with our trading partners — most importantly the issue of China’s under-valued currency, which makes its goods and services more competitive internationally. But after pressing the issue of “currency manipulation” for over a year in his campaign, it has disappeared from his trade agenda and Treasury Secretary Steven Mnuchin has said only that the administration is “monitoring” China’s actions and would issue its regular semiannual report on the issue in October. So, though Americans don’t suddenly have a positive view of “free trade,” they are seeing a president imposing punitive tariffs on a wide variety of products, with the threat to add more, in the pursuit of ill-defined and constantly shifting goals. This does not seem like a trade war the United States is likely to win and it is not surprising that most Americans are not anxious to join his battle. Dean Baker is a senior economist at the Center for Economic and Policy Research. His most recent book is "Rigged: How Globalization and the Rules of the Modern Economy Were Structured to Make the Rich Richer."